Is she ready to face what she has done or is she just another small fish in the big world? "All important men have assistants. That's the first principle I want you to remember. 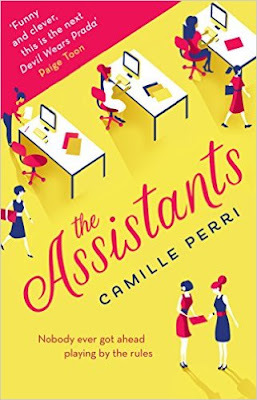 Do important women also have assistants? Yes of course. But men rule the world. That's the second principle I want you to remember. Men still rule the world." In this fresh and delirious book the women had the power, for good or bad they don't follow the rules the "big boys" had created to rule the world, that's one of the things I liked most of the book, girl power! This book put me a smile on every page I've read, it had humour, boldness and romance, you just need chocolate to make your day perfect! Are you a good girl or being bad is the best?